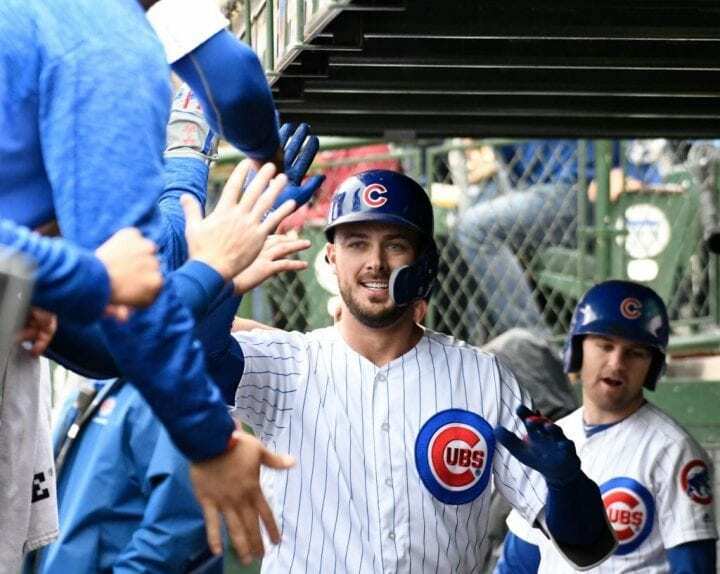 Will Cubs Go From Bryant To Bryce? Last week, we mentioned that Bryce Harper had turned down a 10-year, $300 million deal to stay with the Washington Nationals, thereby skipping onto the yellow brick road of free agency. We had a good laugh about that, didn’t we? Well, it turns out the future of Harper may impact the future of his best friend, Chicago Cubs third baseman Kris Bryant. Harper and Bryant have been tight since they were eight years old and playing ball in Las Vegas. Word broke earlier this week that the Cubs are toying with the idea of trading Bryant, a concept that seemed absurd after the 2015 season when he was the National League’s Rookie of the Year and in 2016 when he was the MVP. 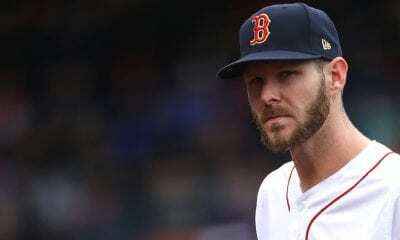 But the Cubs haven’t been able get Bryant or his agent – yep, Scott Boras – to bite, even though they offered a nice long-term deal (reportedly over $200 million) last winter. Bryant will become a free agent after the 2021 season. So what’s the rush? Perhaps the Cubs know they want to use the cash needed to nail Bryant down in another way. Theo Epstein, the Cubs director baseball operations, has admitted publicly the team does not have a lot of spare change to spend at the moment. Maybe they are interested in Harper? Maybe dealing Bryant could free some money up. Or perhaps the Cubs are just reading the tea leaves. If Harper thinks $300 million is not enough in 2018, what’s Bryant going to think three years from now? The Athletic did some number crunching based on Bryant’s 23.1 career WAR (Wins-Above-Replacement) and figured the talks would start at around $208 million. Ka-ching. As it is, Bryant already set the record for a first-year arbitration eligible player after by getting a one-year deal for $10.85 million before the 2018 season. He made only $1.05 million in 2017. Bryant is scheduled to make $12.44 million in 2019, the second of four arbitration years players receive. The Cubs have informed other MLB teams that they will listen to offers for Bryant. 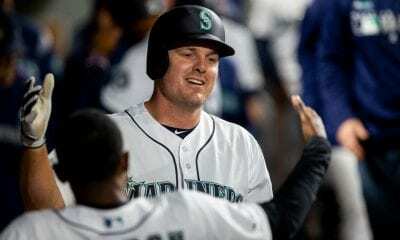 Frankly, his value may not be as high as it was before the 2018 season when a chronic shoulder issue limited him to 18 homers and a .272 batting average in 102 games. If he had a better season, he might have received much more than $12.44 from the arbitrator. During MLB’s general managers meetings in Carlsbad, Calif, this week, Theo Epstein, the Cubs head of baseball operations, confirmed that just about everyone on his team could be available. One of the most interesting theories about why Bryant has been singled out for a trade is the friction that developed between he and hitting coach Chili Davis, who was fired after the 2018 season. You figure, Epstein could deal Bryant for a ton of prospects and reinvest the $12.44 million due Bryant this season in something (or someone) else. Here’s something the Cubs are worried about: They made the decision in 2015 to keep Bryant, at that point one of MLB’s top three prospects, in Triple-A long enough to stop the countdown for a moment on free agency and arbitration. This really bothered the boorish Boras and he filed a complaint with MLB that went nowhere. Boras forgets absolutely nothing. And because of that, maybe the Cubs figure any attempt to sign Bryant will come at a greater cost than they can absorb. 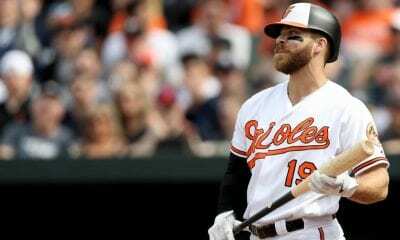 Harper’s Bazaar: What Will Market Bear For Nationals’ Superstar?